I have always considered myself a daddy's girl. However, when I really think about it, my mom is always my first call. Whenever I need help or advice or just a friend to talk to, she is always there for me. And I don't know about you, but when I was engaged, my mother was my go to person to help me make all the decisions and put in all the work behind the scenes to make my wedding come together. And most brides that I have talked to say the same thing. So why is it that Dads get more attention on the wedding day? Dad gets to walk you down the aisle. Dad gets his own dance with you. A lot of times, dad even gives a speech at the reception. Don't get me wrong, dads are important too. But what do the moms, that have worked so hard to put the event together and raise you your whole life, get on the wedding day? I think it is time that we work harder to honor our mothers by changing up the traditions at weddings. Here are a few ways you can switch things up and include your mom in on your wedding day. 1. Walk with her down the aisle. Both of your parents worked hard to love you and raise you into the person you are today. Doesn't it sound more appropriate for both of them to walk you down the aisle and give you away? Don't be afraid to go against tradition. 2. Have an In-Law dance. This is a new idea to me. I recently coordinated a wedding that included an in-law dance into their special dances. The bride danced with her new father-in-law and at the same time, the groom danced with his new mother-law. I thought this was a fun new way to include everyone and symbolize that you are now one big family. 3. Publicly thank your mom. I always have so much respect for the bride and grooms that stand up together at their reception and thank their parents and those whole helped raise them and put their wedding together. It's a simple and easy way to make everyone feel appreciated and loved. 4. Don't give your mom a job. Give your mom a break and let her enjoy your wedding as well. Hire a wedding planner or day-of coordinator to come in and take care of all the set up and tear down and stress of the day. 5. Don't forget a picture. Make sure to get a picture of your mom helping you into your dress and a picture of just the two of you all dressed and ready to go. You will not regret having that picture to look back on. These are just a few ways to incorporate your mom more into your wedding. 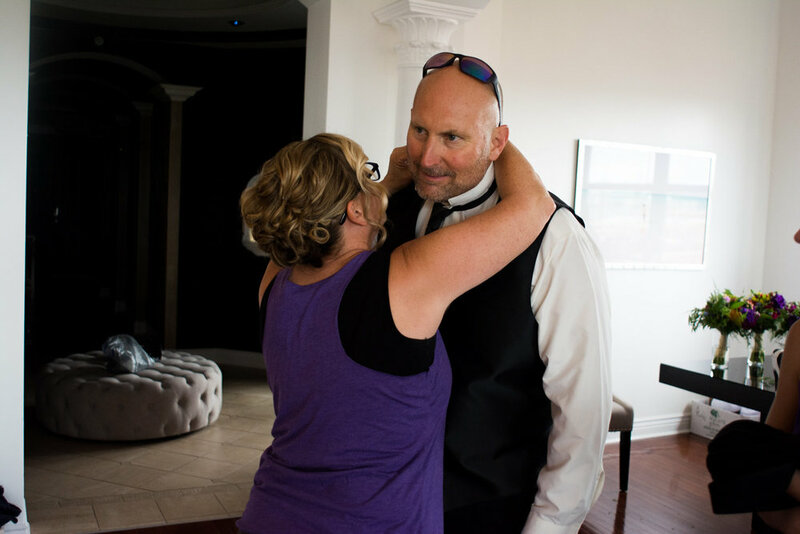 But get creative and make it a priority, even if it goes against wedding standards or traditions, to include your mom more in the actual events of your wedding day. She deserves it.